Survivor Round Table: They're Baaaack! Boston Rob and Russell are back for another go around on Survivor. Our Round Table writers couldn't wait to discuss the implications of two of Survivor's craftiest players returning for another shot at the $1M prize. But, there's more than just Boston Rob and Russell (right?). What about the new contestants, who's your favorite? And how the heck did Kristina find the idol so quickly? As always, we encourage answers from our readers. Boston Rob and Russell are back: Approve or Disapprove? Kyle Kalember: I approve because more Rob = more enjoyment. Every second he gets time on that show makes the show better than if he weren't on the show. Russell I could go either way. I'm hoping he's learned a little about why he didn't win in the past and has made some modifications. If he has I predict a very interesting season. 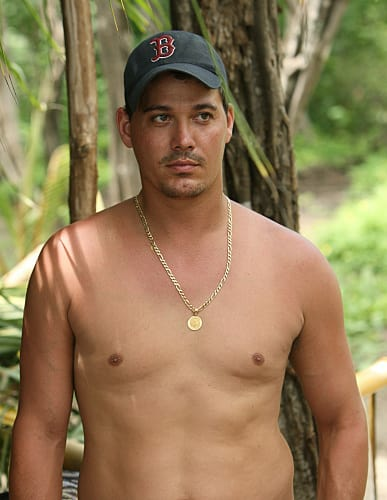 Dan Forcella: I want to disapprove because Survivor's need to bring stars back has become a bit ridiculous, but my overall infatuation with Boston Rob makes me say approve. I can't get enough of him. Jane Murray: Approve of Boston Rob, he's really won me over. I used to hate him (probably because he is a Red Sox fan) but I've really come to appreciate his acumen and passion for the game. He's very good! Russell, disapprove. I actually really liked Russell in his first season, but I've grown tired of his act and insecurity. I think he's team will get rid of his as soon as possible. He does not have any endearing qualities like Rob. Luke Dwyer: Only Survivor: Heroes vs. Villains made me more excited than the return of Rob and Russell. It's no secret that I love the villains and bringing back two of the biggest ever is always a good idea in my book. Was Kristina finding the idol without a clue more impressive than the first time Russell did it? Kyle: Nope. Russell did it multiple times. He just kept finding idols when he needed them most and he was always facing the axe, so this was a higher level of pressure and we all knew he was likely going home if he didn't. That will never be topped for the level of awesomeness it required. Dan: No because now it has been done so many times by Russell that it doesn't seem as ridiculous. When Russell first did that it was like "Woah! What just happened?" Now we know that the cameramen are obviously motioning with the heads and pointing their fingers in the right direction...right? right? Jane: No, I think she took her lead from seeing Russell do it. The first time he found the idol without a clue was like the first episode/season of Lost - completely amazing, blew your mind and you were so excited to see what was going to happen. Then he continued to find the idol, very similar to the following seasons of Lost, good, but maybe it's not as hard as we think. Kristina finding the idol was like the last seaon of Lost, just get it over with so we can move on. Luke: Hell yea. Russell created the idea of looking for it without a clue and that's awesome. But, Kristina found the idol less than 48 hours after she got to camp. She barely knew the lay of the land and she found it. Besides, when Russell found it, the producers didn't consider the possibility that someone would find it without a clue. Now they know people will go looking for it and Kristina still found the idol. Who's your favorite new survivor so far? Kyle: I like the farmer (Ralph). His man sweater was indeed quite impressive. Dan: I'd say Grant because he hasn't said a word and looks really cool with his quasi-dreadlocks. You're really better off saying nothing if you want to get on my good side. The three that were showcased - Phillip, Kristina and Francesca - were all awful. Jane: Iraq war guy (Mike). I think he's smart and going to be fun to watch. Luke: I'm disappointed in myself for saying this because she's got little chance, but I liked Kristina. Well, up until the part where she ignored Francesca's sage advice to wait before crossing Rob and plowed ahead with her ill-fated plan to blindside him. Before that, however, I liked that she found the idol and looked forward to the challenge of playing with Rob. Should Kristina have accepted Boston Rob's offer? Kyle: Kristina made so many mistakes on that first show I don't even know where to start. She played SO poorly with the exception of finding the idol that I would label her entire game a failure. Dan: In my opinion you never give up an idol. Alliances and friendships change so easily in this game that if you have a safety net, you hang on to it at all costs. Jane: At tribal council, no. It's going to be really tricky to turn it around, but accepting the offer on the spot would not have helped her. She needs to leverage the idol going forward and use it to form some sort of alliance with Rob. Luke: No, but probably because she should have played it right then and there. Ballsy move to keep it because now she's got six more days, not just three. An important question would be if she could keep it if sent to Redemption Island. Who will last longer, Boston Rob or Russell? 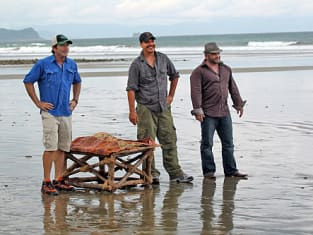 Dan: I say Boston Rob heads to Redemption Island first, because Russell has proven that he can manipulate his way to the end as well as anybody. But, I have faith that Boston Rob can win duel after duel to make his way back to camp and eventually beat out Russell on the way to his first ever title. Jane: Rob - he's a better player. However, it was impressive that Russell's team won immunity especially since they thought Rob's team was stronger. Luke: Who wins the Clash of the Titans this time? Our man, Boston Rob! I think I've been trained for something like this. Permalink: I think I've been trained for something like this. We ain't never had a dumbass to win the game, have we? Maybe it's my turn. Survivor Review: The Godfather Is Back!